Exceat is a Downland farmstead at the head of Cuckmere Haven in Sussex. There are two stone, aisled barns. 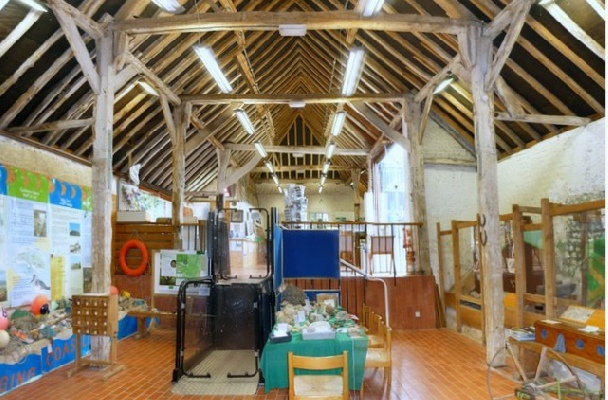 The first barn (below & bottom-right) functions as a Visitor Centre for Cuckmere Haven which is owned by the National Trust. It has a central midstrey and flint and brick walls with a clay tile roof. 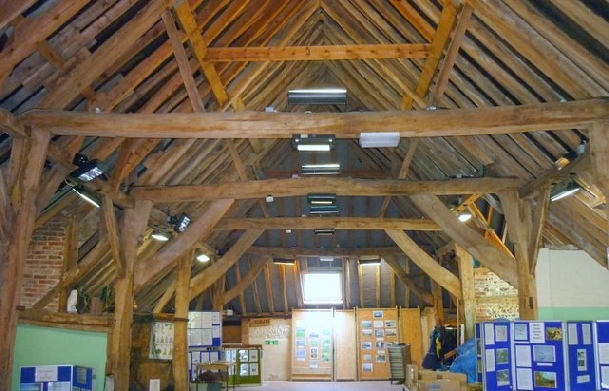 The second barn (top-right), set at right angles to it, is also an aisled barn and is now a teaching area. The farmhouse is a B&B and serves teas to visitors to the Haven.